ARLINGTON HEIGHTS, IL -- A man allegedly shot and killed his wife as she carried their 1-year-old into their home near northwest suburban Arlington Heights. Cook County sheriff's deputies responded to a report of a shooting in a home in unincorporated Arlington Heights around 1:45 p.m. Sunday. Investigators said Divinia Salgado, 38, was shot by her husband, Jose Arturo Salgado-Roque, 42, as she walked into their house in the 10th block of 3rd Avenue. Salgado-Roque was later found and arrested, the sheriff's office said. The infant and two other children were placed in the custody of the Illinois Department of Children and Family Services. 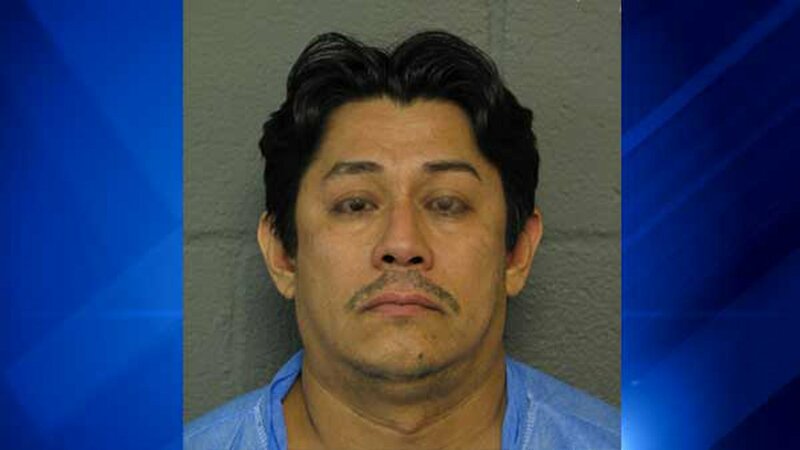 Salgado-Roque was charged with first-degree murder and is due in Bond Court Tuesday in Rolling Meadows, Ill.